WeatherNotify is a Free Portable Weather tool that can be used to display your local weather conditions in the status bar or window. Weather Conditions such as Temperature, Wind Direction, Wind Speed, Atmospheric Pressure and Relative Humidity. 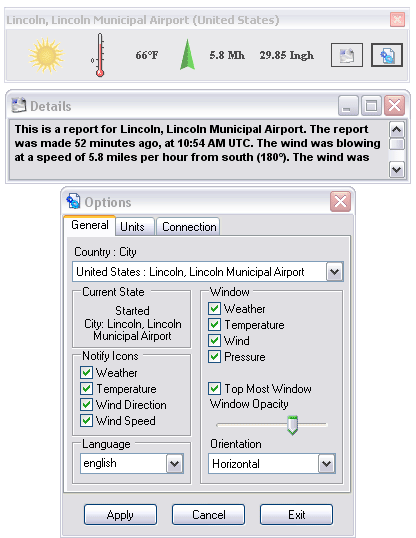 A detailed weather report can be displayed as well. The tool supports multiple languages and utilizes selectable units of measurement.